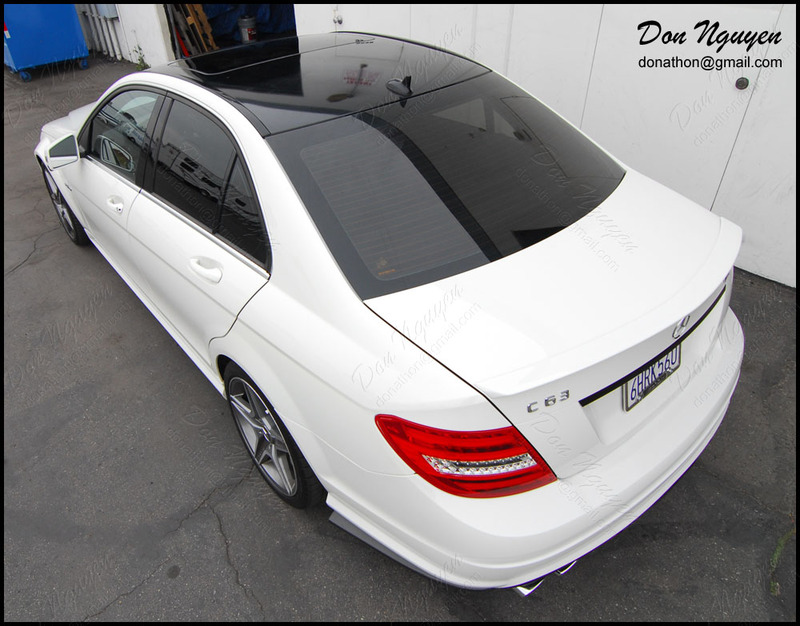 I had this white Mercedes C63 AMG sedan come by to have me vinyl wrap the roof of their car in my gloss black material to give it the panoramic roof look. I believe the owner of this car was from Los Angeles and drove out to me in Orange County / Anaheim Hills to have the work done. I also did the side front bumper slats in the matte 3M carbon fiber di-noc material, which was a bit tricky to cut, since it had to be done freehand and there were no real lines/curves to follow. 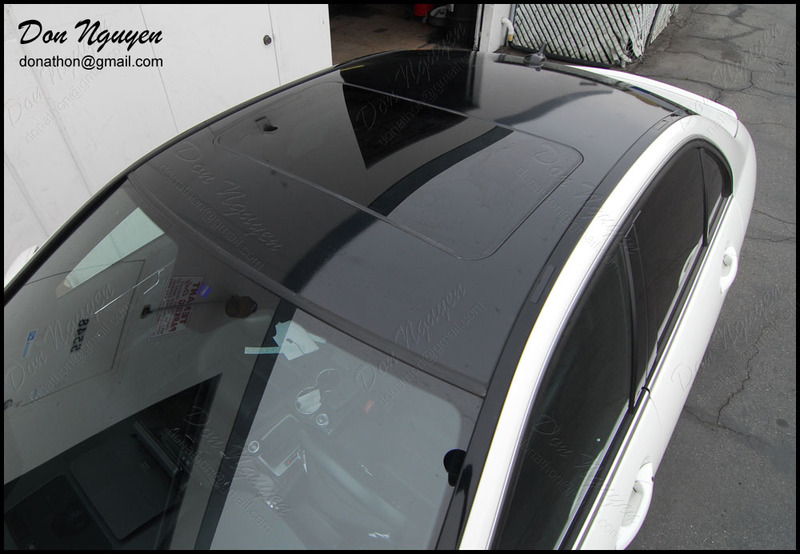 I forgot to take the before pictures, but I am sure you can imagine what a white roof would have looked like on this car before I vinyl wrapped the roof black. 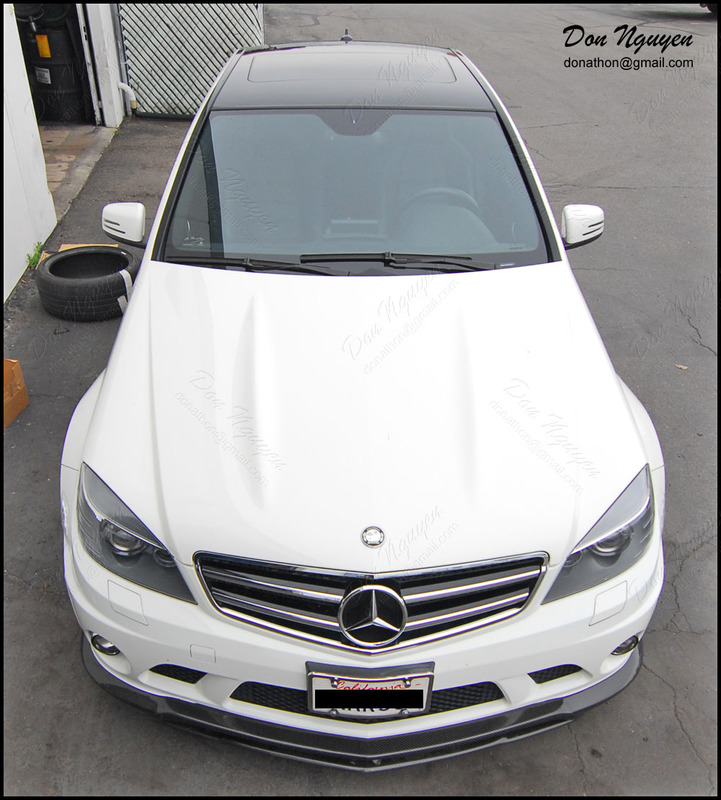 Blacking out the chrome in either gloss or matte black vinyl to give it the shadowline look would really complete the look of this car imo and give it an aggressive look/stance.